World Sleep Day: According to experts, one must sleep eight hours a day. Inadequate sleep for a prolonged period of time can trigger a host of health issues like high-stress levels, decreased metabolism and depression. It is the World Sleep day today! World sleep day is an annual celebration of the importance of sleep in one's life. 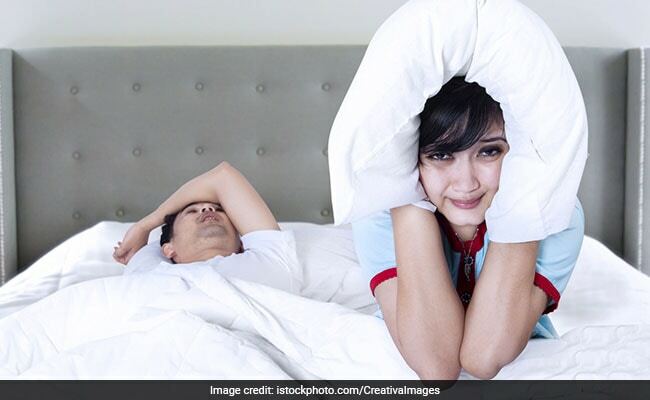 The World Sleep Day is celebrated on 16th March each year and this year 's slogan is to 'Join the Sleep World, Preserve Your Rhythms to Enjoy Life'.For the longest time in history, sleep has been associated with leisure, and an activity that takes you away from doing something productive. Sleeping is body's way to recuperate from the wear and tear of the entire day. Your body is just like a machine, after a day's hard work- it needs to wind down and relax to prepare itself for the day that awaits. According to experts, one must sleep eight hours a day. Inadequate sleep for a prolonged period of time can trigger a host of health issues like high-stress levels, decreased metabolism and depression. Sleep and wakefulness are influenced by different neurotransmitter signals in the brain. Certain foods, medicines and habits can change the balance of these signals that affects whether you feel alert or drowsy and also how well you are able to sleep. Playing with your pets, catching up with the latest episode of your favourite TV series can make your brain mix up signals. When you really should be winding down, catching up with too many activities on bed, may prevent you from powering down- which will delay the quality shut-eye. Have a habit using your smartphone and social media before you go off to sleep? Stop now. The brightness of the screen and your engagement on the phone, delays your brain from powering down. Have a lovely dinner spread? Enjoy it to the fullest. But know where to stop. Or, at least plan your dinner around a time that it is not too close to bed time. This can increase the risk of heartburn and indigestion, making it harder to fall asleep. Eating very sugary food too close to bedtime can cause unnecessary sugar spikes, and have your brain alert at a time when it really should be powering down. Milk is a great sleep supporter. It contains tryptophan, an amino acid which converts into serotonin. Serotonin is known to induce calming effects in the brain. Cherries are one of the few natural foods that contain melatonin. Melatonin is a hormone produced by the pineal gland in the brain. It is known to regulate your sleep and wake cycles. Bananas contain magnesium and potassium - both of which are natural muscle-relaxants. They are also packed with the good carbs that make you feel sleepy. Almonds are dense with magnesium that will help you catch more quality sleep. Almonds also help regulating your blood sugar levels while sleeping. The brain-shaped nut is packed with tryptophan, an amino acid that helps induce sleep naturally. Here's wishing all a very Happy World Sleep Day 2018!